Yes, there is a Guinness World Record for the lightest tent, and Terra Nova has owned it for the past few years. 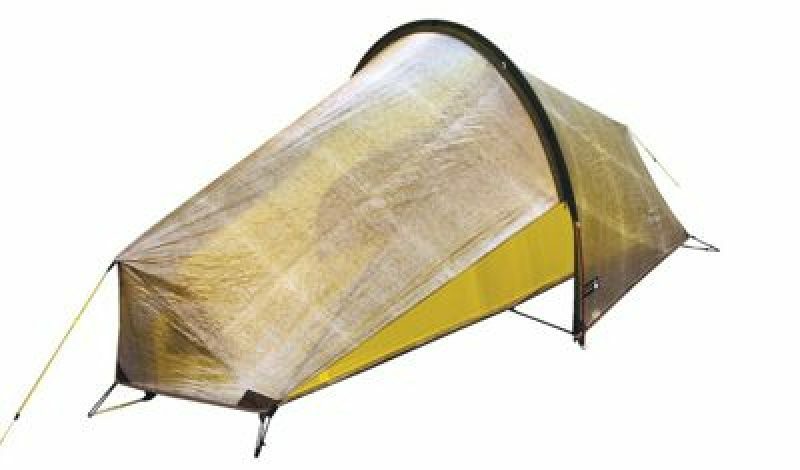 The UK-based tentmaker first claimed the world record with its Laserlite, a one-person tent weighing just over 1kg (2.2 lbs), in 2004. Seven years later, the new Laser Ultra 1, barely tipping any the at just under 600g (1.3 lbs) is the new record holder. Designed for short duration ultra events, the Ultra 1 follows the design mantra of previous Lasers, but with a silver translucent fabric for the flysheet. The tent began hitting retail this spring, and won a Gold European IF Design Award when it was first introduced to the trade in July 2010 at the Outdoor show in Friedrichshafen, Germany.